Well, may be the social ones. 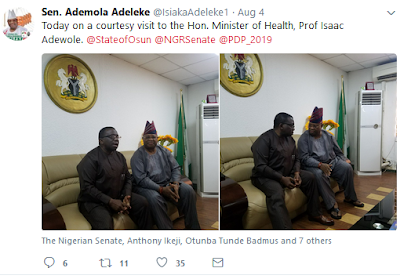 We just started following him on one of his social media pages, so as long as our favourite Senator (we love his dancing steps) keeps posting on social media you are sure you will always see it HERE. If his people send us notes on him, you will also see it HERE. Yea, that's how much we love him duh! 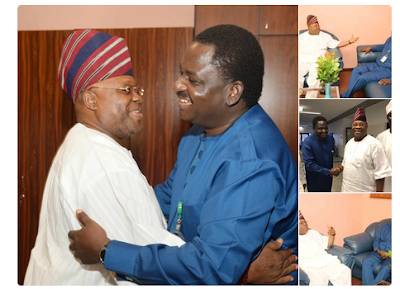 So what we all missed is that, the Senator shortly after he resumed office visited Femi Adeshina at the villa. 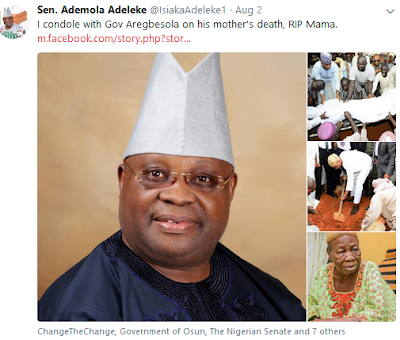 We all also missed that, he publicly wrote a condolence note on his facebook page to Governor Rauf Aregbesola when he lost his mom few days ago. 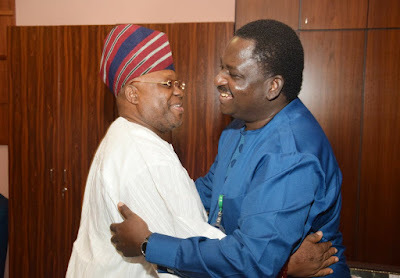 Recall they are 'political enemies' and almost everything Aregbesola said after Senator Isiaka Adeleke's death were rebuffed by Senator Ademola on behalf of his family? 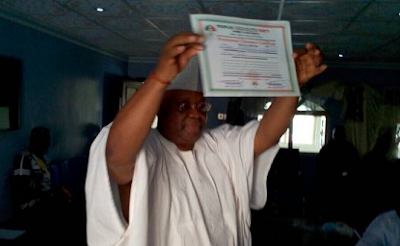 Infact shortly after his victory, a video circulated online where Senator Ademola was being hailed and the musician including the senator all shouting something like 'Aregbe werey, ko ni number' lol, but we guess it's all politics and when it comes to more important things of life they get SERIOUS. » Toolz: Would You Tell Your New Boyfriend/girlfriend If They Gave You A Gift You HATED?